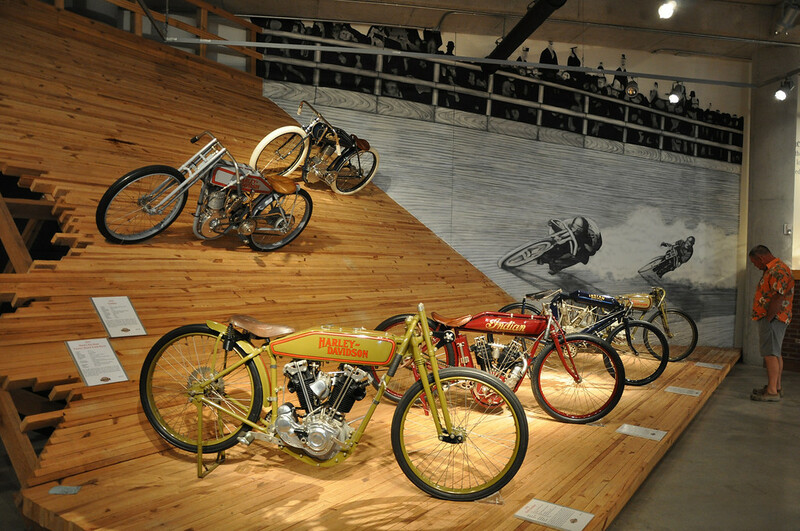 Great board track racing video from Daytona, Florida in the 1920’s. 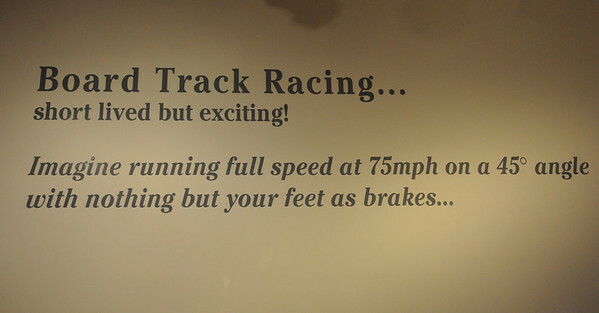 The intro title is a little long but stick with it. 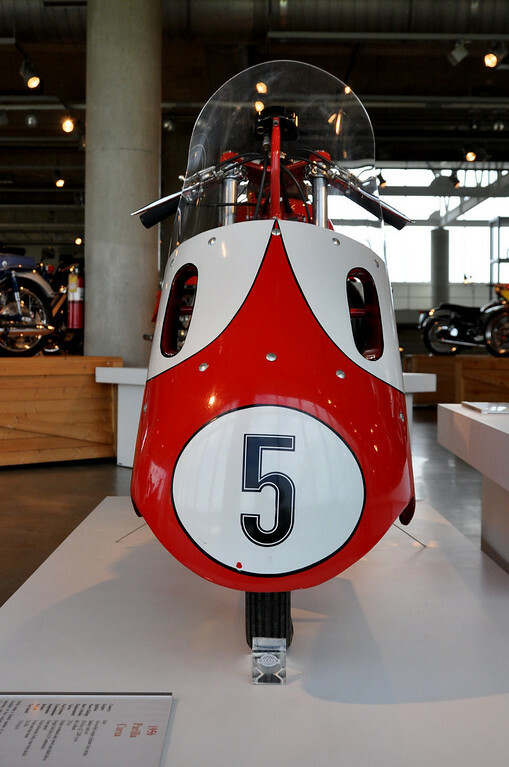 It just serves as further proof that motorcycle riders have always been adrenaline junkies. 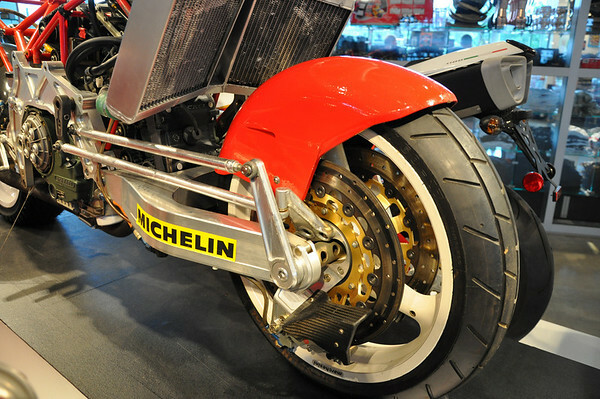 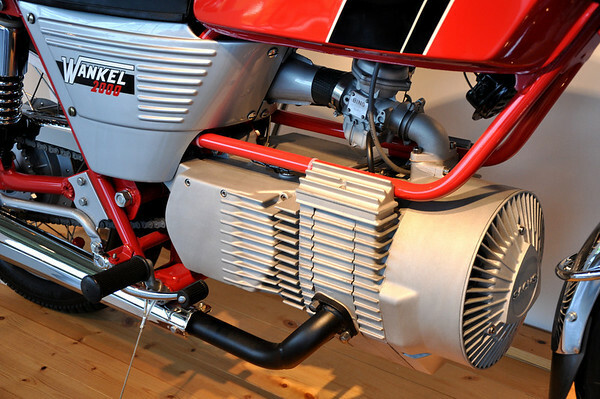 The Tesi with it’s hub-steering has become one of those motorcycles that is the stuff of legend. 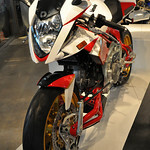 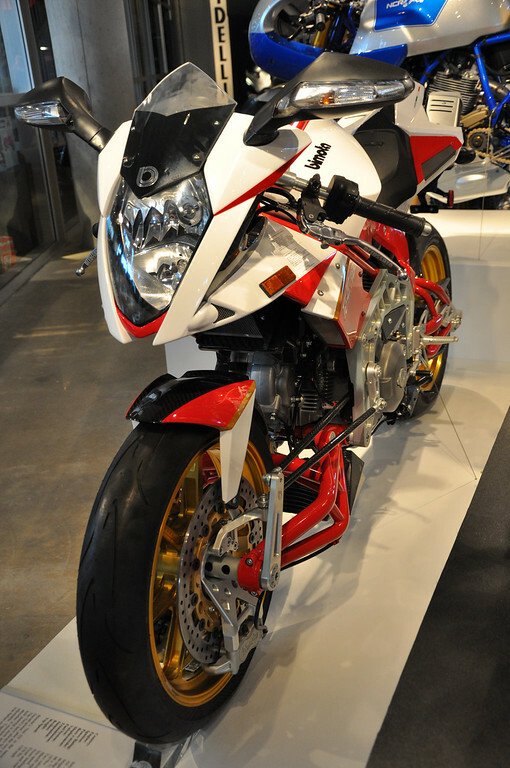 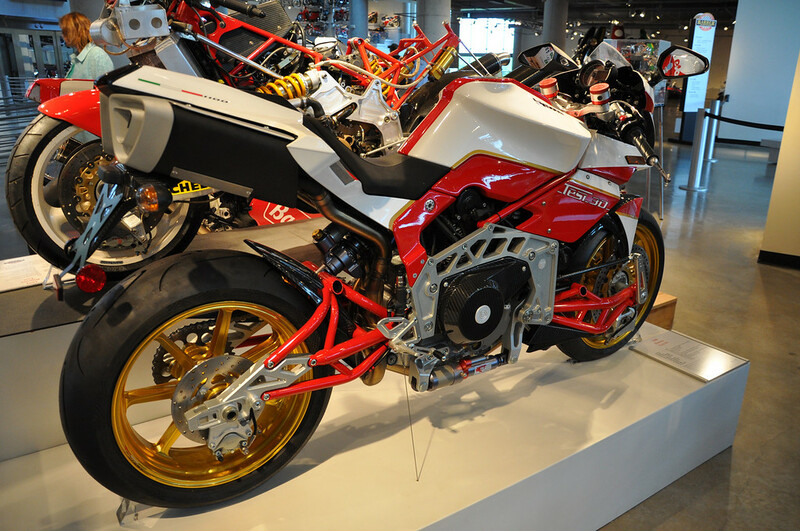 Seeing the unusual Bimota in the wild is a bit like seeing a UFO. 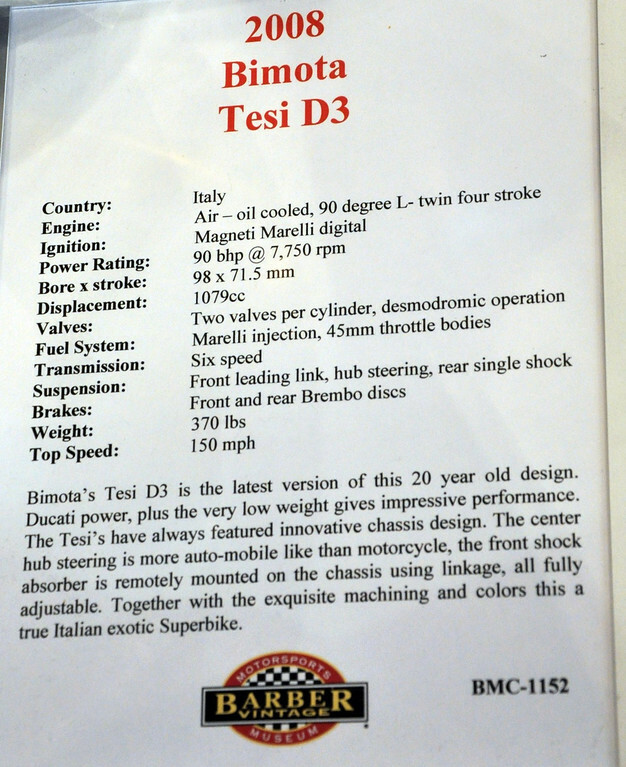 Sure some people say they’ve seen them but I’m usually a little skeptical and never imagined seeing one myself. 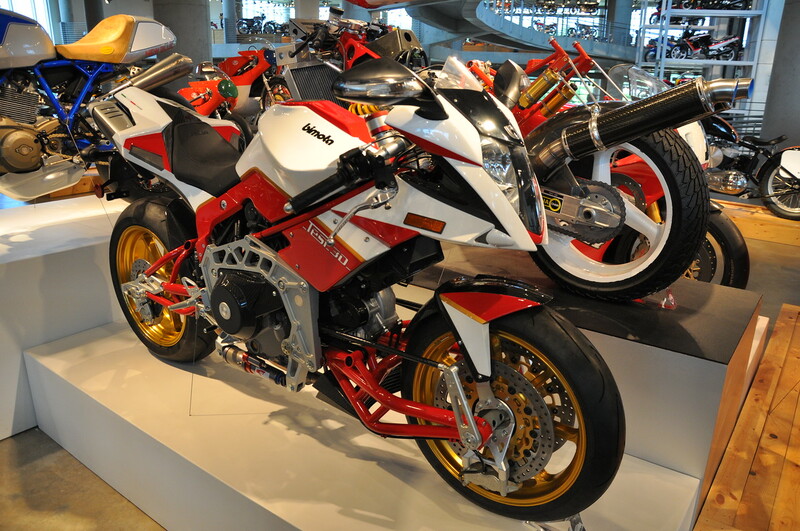 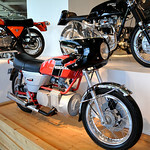 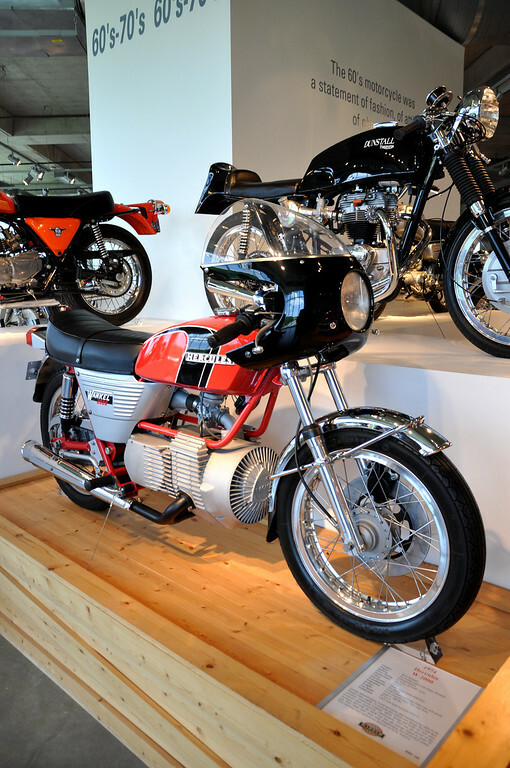 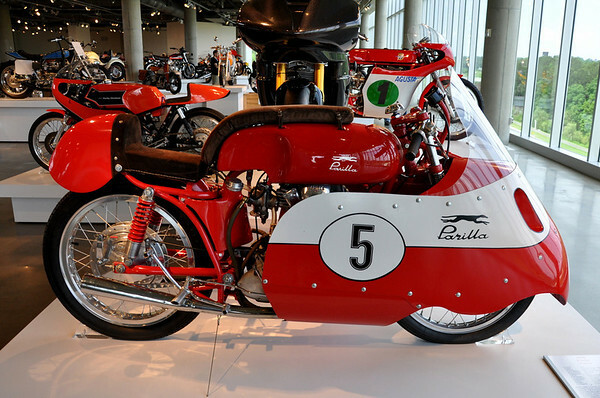 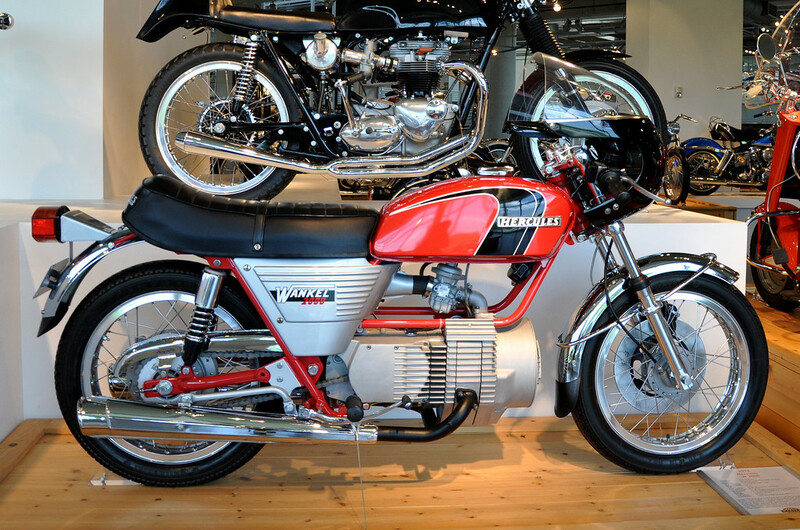 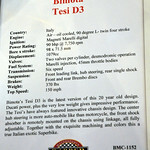 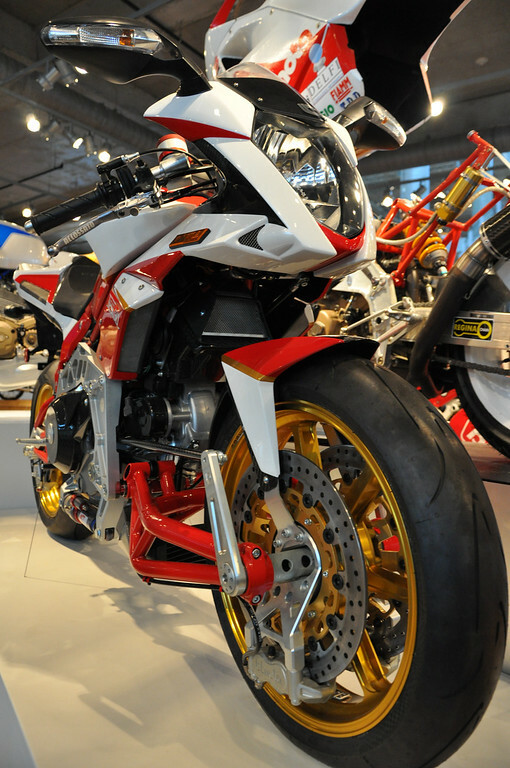 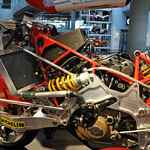 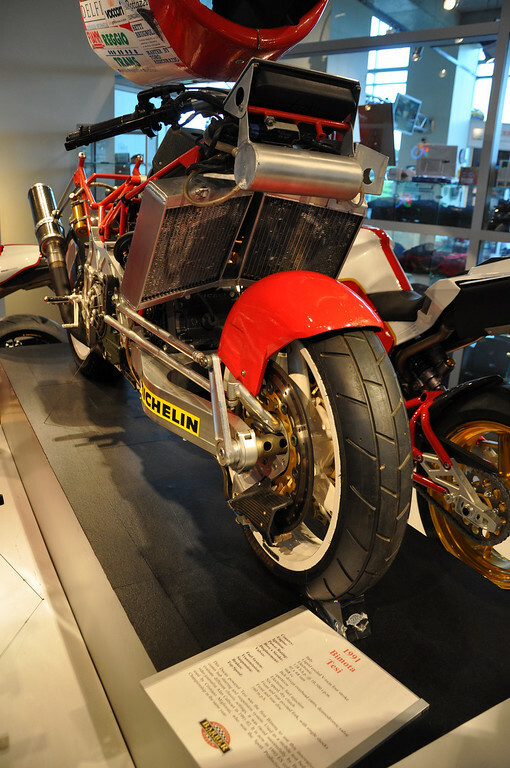 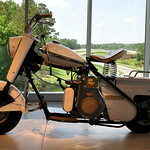 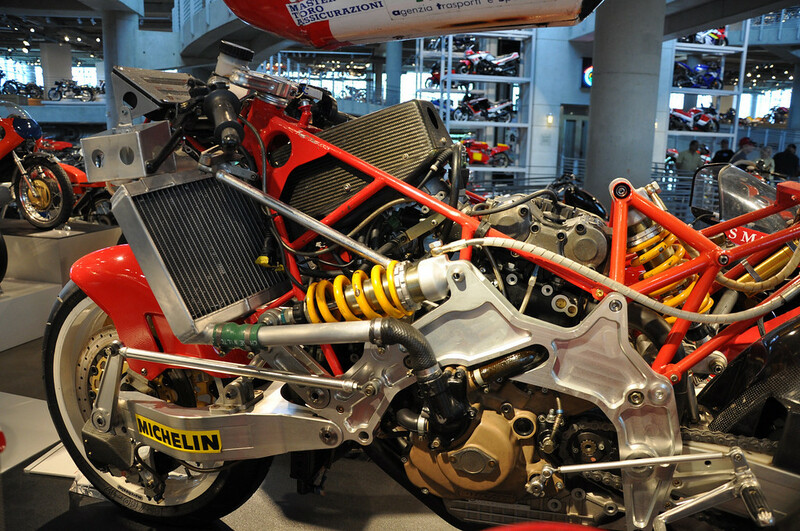 That was until we visited Barber Motorsports Museum where they have not 1 but 2 different Tesi models on display; a 1991 Tesi and a 2008 Tesi 3D. 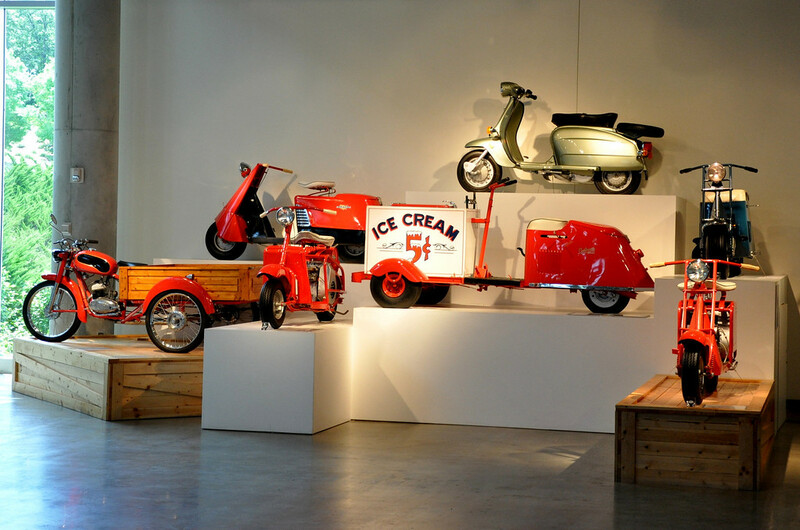 Such radical visual styling elicits a love it or hate it response in people. Where do you stand? What started from two cousins, Everett and Clinton Cushman building farming machinery and two-cycle boat engines in Lincoln, Nebraska in 1901 developed into one of the most well known commercial and industrial vehicle companies. 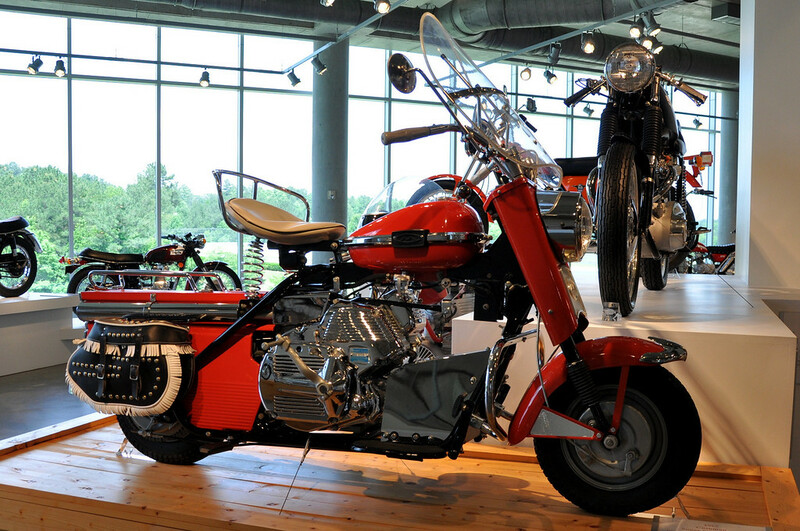 Used in factories, the military, airports and even on the links, Cushman vehicles are everywhere. Golf cart, anyone? 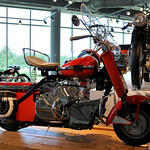 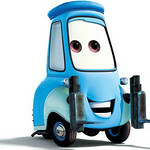 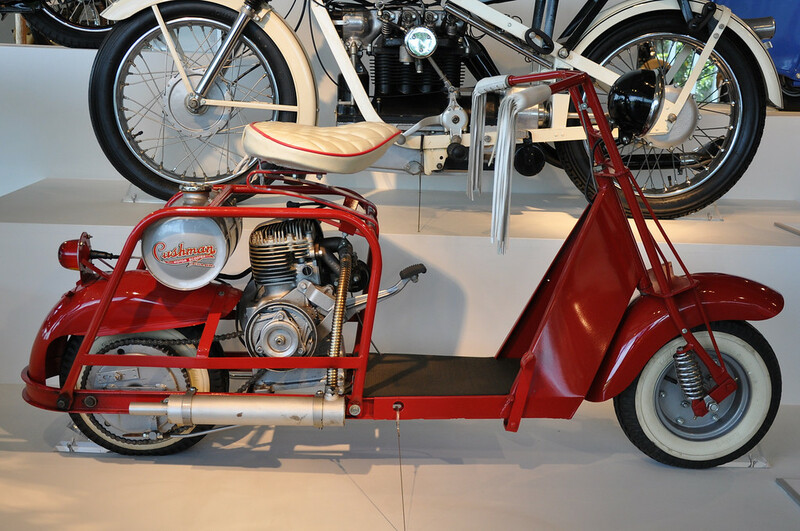 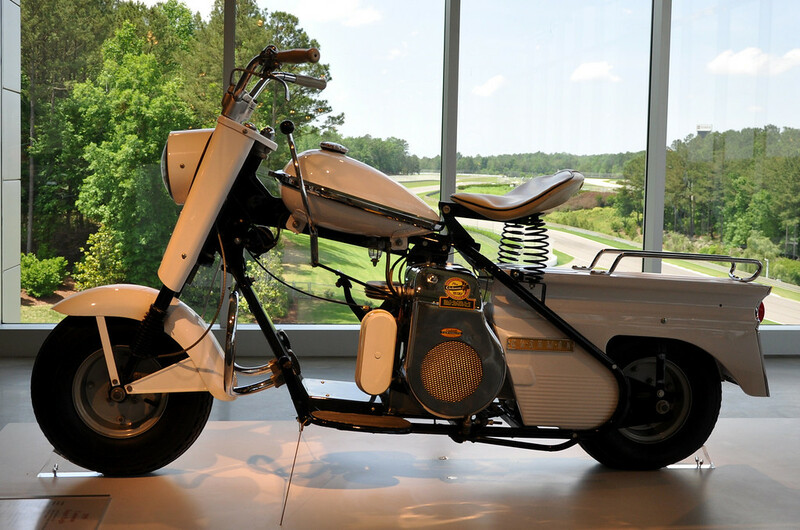 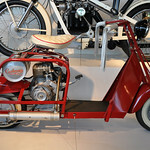 From the mid 1930s through the late 1960’s, the Cushman company also produced some of the most charming 2 and 3-wheeled motor scooters with model names like the Eagle, Model 53 Airborne and the Pacemaker.